KU students demand for justice for hit and run 3rd year victim – Kenyatta University TV (KUTV). All Rights Reserved. Students from Kenyatta University yesternight held a vigil in remembrance of Maureen Wambui Gachagua, a third year student pursuing Gender and Developing studies. Ms Gachagua, 22, was knocked down by a vehicle on Sunday morning along Mombasa road and later her body dumped in a ditch three kilometers away. The university students’ body is pushing for justice following the hit and run incident that led to her death. The student leaders have put up a campaign dubbed #justiceformaureen, which is aimed to get relevant authorities to deal with the matter. 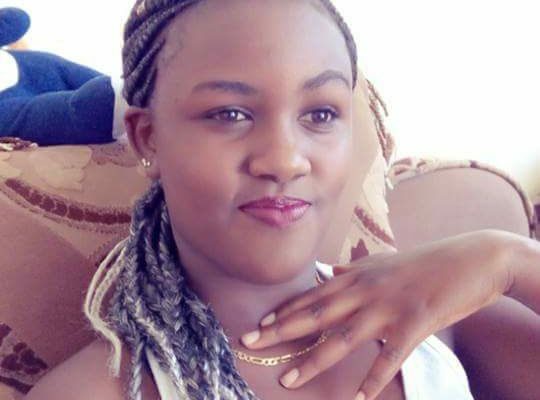 Gachagua met her death on the night of 15th July, 2018 when a police officer allegedely driving under the influence, identified as sergeant Dismus Gitenge Motongwa hit her along Mombasa road but drove to South C estate and dumped her body. He went on and changed the number plates of the car he was driving. He then drove to the Lang’ata police station and reported that he had hit a cow along Mombasa Road. The family is also calling for relevant bodies to apprehend the suspect who has since been released on bail, and for additional charges which include concealing evidence be opened against him. Maureen’s body has since been moved to KU mortuary till her burial.